To book an event, or for more information, call 508.435.6198 or Email Cheryl Melody. 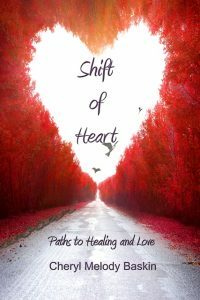 "Shift of Heart — Paths to Healing and Love” is a sparkling gem that vibrates love, inspiration, compassion and encouragement. It is packed with crystal wisdoms, practical tools for navigating challenges and triumphs, true inspirational stories, positive self-affirmations, user-friendly visualizations and guided meditations, and a self-help approach humorously entitled “My 5 Minute (Chakra) Quickie.” Each chapter gently guides us towards increased self-love, inner peace, balance, presence, mindfulness…and unchaining our inner turmoil towards greater freedom and creative flow. Heart-centered and peaceful adult lullabies with gentle words that nurture self- love, self- compassion, relaxation, stillness and deep inner peace. 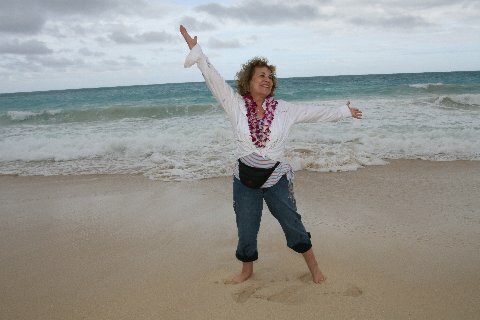 Thank you Cheryl Melody for spreading your message and energy into my/our world!!! — Shannon W.
This entire inter-generational album focuses on “being” peace, respect for differences and hope…all songs and words celebrating the potential for a loving humanity. Every healing event with Cheryl Melody Baskin is filled with heart-opening vibrational sounds, positive power words, chakra energy balancing approaches, breathing in “this moment,” and humor, lightness and joy. Messages of hope, inner peace, self-love and compassion are woven into a nonjudgmental environment that reflects one community of love. Themes of love, healing, peace within and on our planet: I love to get everyone involved interactively: In tune or out of tune singers are welcome. We sing the chorus of many songs, get inside the meaning of the nurturing words and interact with one another. Performing WITH participants is my joy, as well as sharing original songs and positive affirmation lyrics, poetry, true stories, and crystal bowl sound healing. We sing, hum and release our out of tune or in tune sounds. It is everyone's birthright to allow their unique voice to be heard. This concert, workshop and keynote invites the discovery of vocal creative expression, and an opening of heart-centered strength and courage. These short video visualizations are meant to inspire heart-centered hope, peace, inner wisdom, gratefulness, compassion and love. 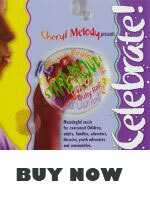 To hear more of Cheryl Melody Baskin's podcast and blogs,please visit her blog. 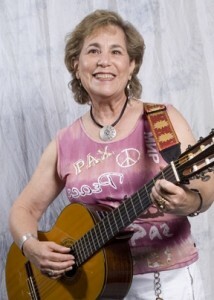 This 4-minute peace anthem is given to humankind by musical artist Cheryl Melody. So strike up the One Planet band! Introduction: “Melody” is my authentic middle name, but I am often called “Melody” as a first name…and hearing it makes me smile. The name resonates with me. My mother was an opera singer, and I guess she had an intuitive feeling that I would be musical too. I love to sing, but I haven’t always stepped into it. Even though I have sung in front of people since the age of 3, inwardly I felt as if I didn’t have the right to label myself a true “singer.” My talented opera-singing mother was my bar for achievement in the vocal category. One day in my late 30’s, I went to an inner growth workshop in which the focus was singing and learning how to release our voice. People came up to me saying that they loved my angelic-sounding pure voice, and from that day on, I claimed and owned the label of “singer.” The rest is history for over 25 years…performing concerts for adults and for children as a solo artist throughout the United States, as well as creating nine CDs to date. Going through this personal process has made me sensitive to everyone who has some kind of block about making their sound. One of my passions is to invite audiences to sing with me, in-tune and out-of-tune. Through the healing power of music and sound, we can own our birthright to sing, hum and create a higher vibration within ourselves. Singing massages us from inside-out and keeps us in the present moment, free from the worries, troubles and frowns of life. As Winnie the Pooh says: "Hum a little hum." General Overview: I am a Peace through Music “love” musician, educator, sound healer, author, keynote speaker, life wisdoms coach, workshop facilitator, writer, actress, author, playwright, voiceover artist, storyteller and poet. All of these branches on my creative tree didn’t happen all at once, however! They continue to evolve gradually. I began my career as a cellist and as an early childhood music specialist, founded my own music school for young children, taught creativity at the college level, and suddenly began to compose songs. These songs led to creating 9 CDs to date-- some CDs are for adults, some CDs are for children, and some CDs are for the inner child within all of us. Upon hearing my music, people began to ask me when I was going to perform these songs, and lo and behold, many types of performances have evolved. I am particularly interested in peace-themed concerts in which the audience helps me send sound healing vibrations and visualizations of peace out into the world. In trying to make all types of performances interesting to audiences, I have taught myself how to be a storyteller-sharing personal stories, and integrating music and poetry along with each story. Along the way, I became interested in sound healing, and now integrate sound healing into concerts. 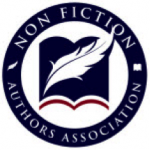 Over the last year, I began to have a book inside me that needed to be written. It is called Shift of Heart-Paths to Healing and Love. This book has become a synthesis of my life’s work, personally and professionally. The Healing Power of Words: I am purposeful and conscious of the words that I write in every song, story, book and play. Words are powerful, and I use them to uplift and heal the human spirit, and to offer messages of hope, peace, encouragement and love. The Healing Power of Music: As Victor Borge said: "Tap 2 stones together 3 times, and you have a waltz!" That's how I see and hear music: I believe it is everywhere and in everyone. All of life is a symphony of sounds and silence, and making time to breathe in each nurturing moment can revitalize us in seconds. I also know that it is impossible to worry about a life issue if we sing, tone, hum, whistle or dance. Most of all, music is healing. Ever since I was a young child, music has saved my own life over and over again. Education: I graduated with a Bachelor of Music Education degree from Hartt College of Music and a M.A degree from Lesley University. I was also an adjunct faculty member in the Creative Arts and Learning Graduate Program at Lesley University. I am a teacher at heart, and offer life wisdoms coaching, seminars, teleconferences, concerts, workshops and keynote speaking. Concerts: After the Oklahoma City bombing in 1995, I was invited to perform an inter-generational "Peace and Healing" concert for the grieving community. Since Oklahoma City, I have performed interactive concerts across the United States, integrating themes of Love, Tolerance, Healing, Inclusion, Unity, Honoring Mother Earth, Compassion, Forgiveness, Inner Peace and Peace in our world. Sound Healing: Sound healing is fascinating to me. It is a pathway towards balancing our self, our energy centers (or Chakras), and creates more of a zing in our lives. I use my voice, spoken word, chanting, vocal improvisation, interactive communication with the audience, and the ringing of crystal and Tibetan bowls. Where my concerts have taken me: Many places! My positive musical messages and the healing power of music has taken me to a Unity Church in Honolulu, many Unitarian Churches, a Methodist Church in Virginia, many Catholic schools and churches, a synagogue in Vermont, conferences in Chicago and beyond, and an Alzheimer facility in Massachusetts. 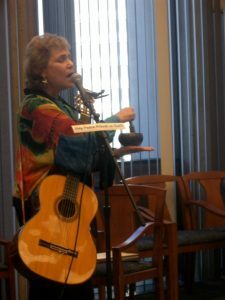 Other Venues: In addition, I often appear as a featured performer at peace gatherings, labyrinth festivals, libraries and schools, open mics and coffee houses, local cable TV shows, spiritual centers, colleges, churches and synagogues. Joining Others-New Growth: My original music, poetry, storytelling, acting skills and voiceover narrations are also part of a performance with two peers. Through the arts we bring to life stories women have written about their hard times and their good times in life. 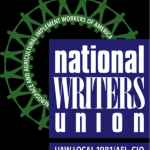 We recently performed stories from 45 Magazine at the Berkshire Festival of Women Writers, and are presently expanding our performance to colleges and other venues. Albums/I-Tunes/Digital Downloads: I have created 3 healing CDs for adults: "Voice of the Angels-A Healing Journey," "Celebrate Peace!" 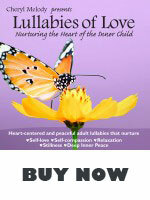 and my newest addition: "Lullabies of Love"-Nurturing the Heart of the Inner Child." My music and words are designed to uplift the human spirit and soften the heart towards love, peace and healing. What I write and compose comes from the deepest part of my soul's yearning to help create more hope and love in our lives and in the world. Self-Help/Inner Growth Book: SHIFT OF HEART: PATHS TO HEALING AND LOVE. I am excited! I never dreamed I would write a book, but I believe these higher wisdoms have been inside me since I was 15 years old. It is a small, useful, powerfully positive book. One person said: "Shift of Heart" is like getting a big internal hug." 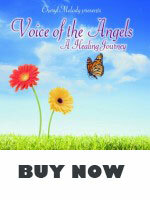 The book reflects hope, encouragement and healing. It offers my highest wisdoms for navigating life's ups and downs. It is jam packed with positive words that encourage us to go for our dreams and to figure out what they are, and it contains quick visualizations, meditations, reflections, everyday true inspiring stories, creativity tips and solid tools that we can use every day in order to feel more centered and balanced. Most of all, the book speaks to the idea that when we heal ourselves even a little, we help to send that healing into the world, and each person’s triumph raises the vibrations on our precious planet. Summary: Wherever I go and in whatever I do, my intention is to have my music and lyrics, storytelling and sound healing, plays, books and poetry all open hearts towards more love and compassion for ourselves and each other. My goal is to use the positive power of music and words as a catalyst for healing, love, creativity and joy, and to unify people from all walks of life towards creating one community of love. "We're all one people, all one global nation, all one planet, together we can live." Feeling Blessed!!!!! Cheryl Melody is wonderful!!!!! I deeply appreciate this lovely, soothing CD...Lullabies of Love. Cheryl's voice is pure love and sweetness. Thank you Cheryl Melody for spreading your message and energy into my/our world!!!! — Shannon W.